The band collaborated with Ramsey Lewis on his album Sun Goddess which was issued in late 1974 by Columbia. The album got to Nos. 1 & 12 on the Billboard Top Soul Albums and Billboard 200 charts respectively. The LP's title track rose to No. 20 on the Billboard Hot Soul Songs chart. Sun Goddess was certified Gold in the US by the RIAA. 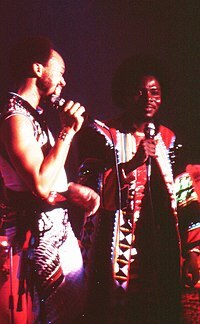 In November 1977 EWF released All 'n All, their eight studio album. It was inspired via a month long trip by Maurice White through Argentina and Brazil. The album rose to No. 1 & 3 on the Billboard Top Soul Albums and Billboard 200 charts respectively.All 'n All won a Grammy for Best R&B Vocal Performance By A Duo, Group Or Chorus. The album was certified Triple Platinum in the US by the RIAA. The New York Times noted "melodious pop lyricism based on relatively complex, jazzy harmonies" on Powerlight.Robert Christgau also declared that on the LP "we're free to gape at this band's spectacular popcraft". 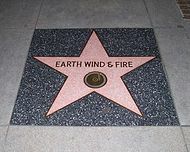 Artists such as Jamiroquai, Pitbull, Lenny Kravitz,Amel Larrieux Justice Omarion, Rob Bourdon of Linkin Park, Jill Scott, and Justin Timberlake have also been influenced by EWF. 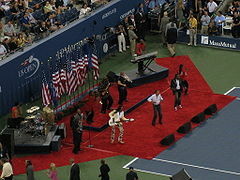 The band has influenced artists such as Bonnie Raitt, Erykah Badu, Jamie Foxx, Patrick Stump of Fall Out Boy, Lalah Hathaway, Amy Winehouse, and Meghan Trainor.